For third-year Master of Fine Arts (MFA) creative writing candidates, the end of spring semester is a stressful time full of frantic writing, revising and meetings with advisors. These master's students have been polishing their manuscript-length theses of carefully researched fiction, nonfiction and poetry for graduation and, if they're lucky, publication. This is the case for third-year University of North Carolina Wilmington MFA students Diane Sorensen (fiction), Cathe Shubert (poetry) and Katie O'Reilly (nonfiction). 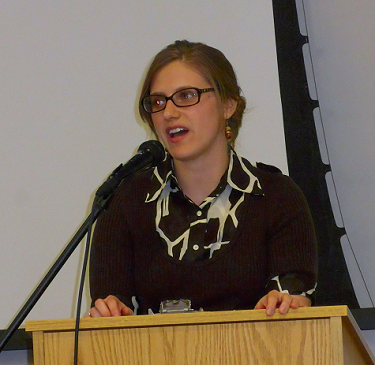 Sorensen recently presented her thesis, a historical fiction novel titled A Woman of Some Importance. The novel follows Birdie Jensen, a young woman living in the Black Hills Basin of Nebraska in 1900, as she falls in love with a wealthy industrialist who then whisks her away to New York City. Sorensen's research for her novel was extensive. She took several trips both to Nebraska and New York City simply to get a feel for the places she would be writing about. Birdie is based on her own grandmother, so Sorensen interviewed several family members in order to accurately represent the people and places of that time. Sorensen cites fiction/creative nonfiction professor Philip Gerard's creative research class as the catalyst that pushed her to write the story she's been thinking about for decades. His class led Sorensen to research sources she otherwise would not have considered, such as 1900s art and the experiences of her own family members. She focused on Gerard's seven types of archives for creative research - paper, living, electronic, visual, audio, experiential, and archives of memory and imagination. Though it is less common in creative research, the scientific model worked well for Sorensen's fiction writing. The basic tenets of "define the question, collect data, analyze data" shaped how she went about her research. "For me, the fieldwork is the kind of data collection that uses all your senses and your intellect at the same time," Sorensen said. Katie O'Reilly's nonfiction thesis titled Super Donor also has ties to the world of science. Exploring the bioethical implications of modern-day egg donation, Super Donor recounts O'Reilly's own experience as a one-time donor. Her research methods, however, differed from Sorensen's. Trying to balance science, ethics, religion and personal experience, O'Reilly found herself constantly on the phone. She dug through emails from the agency where she once donated eggs for timeline information and insight into how agencies market themselves to potential donors and parents. "I basically just started getting on the phone and looking for experts in whatever I happened to be touching on at the moment," O'Reilly said. "I talked to members of the clergy and bishops and read a ton of articles on the Pope's stance on alternative conception." Stating that she could write about egg donation for the rest of her life, O'Reilly often found herself absorbed in articles about subjects with which she was unfamiliar. She found bioethics one of the most interesting angles for her research and her writing. "I don't think I had ever heard the term 'bioethics,'" said O'Reilly. "Bioethicists are basically people who think for a living. That opened me up to the area of bioethics questions, which made this experience broader and richer and also more fun." Ethics also played a role in the research of poet Cathe Shubert for her thesis, titled A Mouth Full of Quills. Focusing on the history of misogyny in women's mental health treatment, her book explores the frontier of women's rights in a series of mother/daughter poems. Shubert found much of the research to be archival as she sorted through periodicals, library sources and financial documents, which led her to the discovery of several female titans in the mental health industry. "Some figures came to be very important for my research: Dorothea Dix in particular, who crusaded for the rights of the mentally ill, who society stuffed into jail cells alongside criminals," Shubert said. 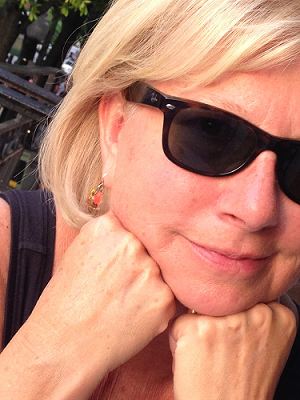 Much like Sorensen, Shubert discovered new research methods through taking a research class. She traveled to settings relevant to the researchers' writing. Because Shubert spent much of her time outdoors in the presence of birds, her own writing is peppered with a great deal of bird imagery. She also sought out places of silence, because silencing is one of the main themes in her book. For the rest of her research, Shubert watched videos of Anne Sullivan teaching Helen Keller, interviewed doctors on the subject of women and mental health and scoured the bylaws of mental institutions to understand the language used to describe the mentally ill.
"I'm not sure that creative research differs from scholarly or scientific research all that much in terms of the method or even the methodology," Shubert said. "However, the final presentation of the findings: that's where creative writers get to have more fun."